SAP Marketing Cloud captures data about various events and interactions. Once the inbound data point been identified, marketers can merge, match and enrich the customer data within SAP Marketing Cloud solution and build a profile for each customer based on their behavior and engagement. It also allows you to plan and create customized Target Groups and marketing campaigns that will increase the revenue and margin. It gives a 360-degree view of the customers interacting with your brand so that you can target them in real time. SAP Marketing cloud solution offers real time insights in to Business leads in every stage of the marketing life cycle. Marketers could perform personalized targeting and orchestration based on the interactions made by the customers. Marketers could segment the customer details in Marketing cloud and create campaign those can be pushed through various channels such as Emails, Mobile, social platforms. SAP Marketing cloud Data Management –> focus on collecting all customer data from various channels to create a golden record which is used for Segmentation and Campaign process. 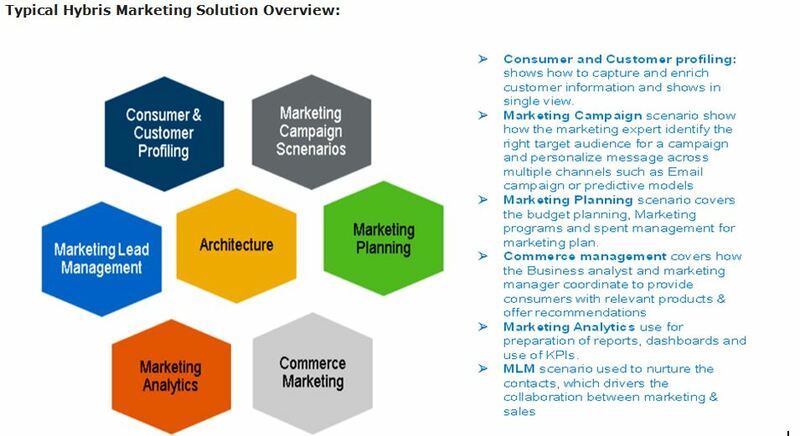 SAP Marketing cloud Campaign Management -> one of the key modules and it allows us to create different types of campaigns for the customers via any channel. SAP Marketing Cloud Planning -> Module helps us to create and manage budgeting process and gain insights into budget and expenses. SAP Marketing Cloud Loyalty –> Enables organizations to create loyalty programs that deliver a premium customer experience to drive true brand loyalty. Once user avail Sign up now option, accept the Get it button inside the SAP Marketing Cloud free trial page. To get started with the FREE TRIAL, click on the yellow “GET IT” button and then sign in to the application page. Select “New” to create new Business Roles from scratch. Choose Create From Template option to use existing Business Role Template with assigned Business catalog. In the SAP Marketing Cloud UI, go to “Data Stewardship” view and click on “Contact” tab. Click on “Import” button to download the contact CSV template. Update the contact details against Name, contact numbers, email id, country, Region, city in the CSV template and then upload the Template. Upload message log can be checked in Application logs section. Error logs also can be reviewed with logs. Under Import, select the proper selection option for Product category and Products options, to download the CS template. Update the file with product data and upload the file. Product category should be link with products and Brand in the sample file. 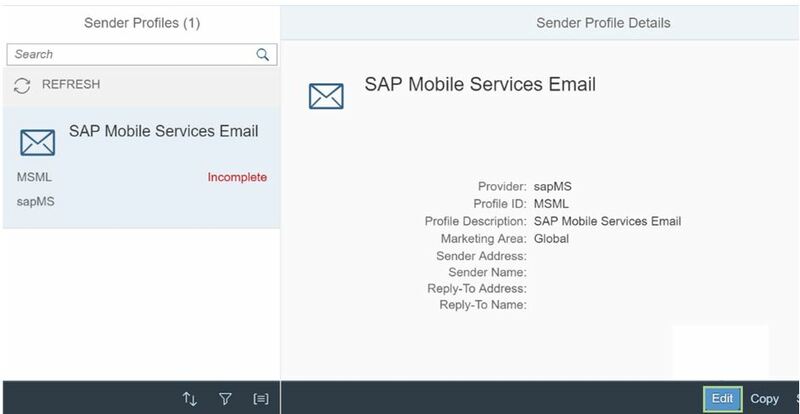 Interaction contacts refer to contacts in SAP Marketing Cloud. A contact is a natural person who interacts with a company. Contact data is collected and merged from several sources into the master data tables within SAP Marketing Cloud . We distinguish between contacts, corporate contacts, consumers, and suspects to define the business relationship of a contact to a company. Below Figure shows contact interactions uploaded via various channels such as Email, web, social media. Example: Interaction Footwear and Footwear_OUT update via Email and Web. Note: Maintain Path. Service URL will be generate automatically by the system by the host name provided as input. User will receive the communication message once successfully ping the outbound services. Proper authentication methods (User ID & Password) to be maintained to connect successfully to SAP Digital interconnect. Sender profiles are created for multiple purposes such as news letters or product announcement. System will create default sender profile, which required to be completed. Under Sender Address field maintain the proper Email Address which will appear in sender address outbound email. To access the SAP Marketing Cloud open courses or to access Startup guides on Marketing, we need to navigate to the SAP Learning Corner.